Rising Russian talents Matisse & Sadko are really beginning to make a name for themselves. After their "SLVR" collaboration with Steve Angello, holding the number spot on the Beatport Top 100, the boys released an amazing remix for The Aston Shuffle which soon began to climb the charts as well. 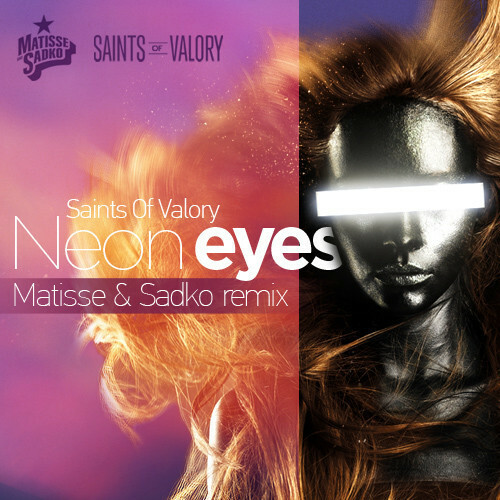 Here is their latest remix for Saints of Valory's "Neon Eyes". This may be one of the duo's best works yet, as they have taken an soft emotional track and made it an anthem. Watch out for Matisse & Sadko because we know they have an original coming out soon which they believe will be hit.